Now, I would hazard a guess that many an avid wine drinker finds themselves, at one time or another with a bag of corks. Or a box, or perhaps, as was the case in my last apartment, an entire drawer. For whatever the reason, I think many of us just don’t want to throw the corks away. 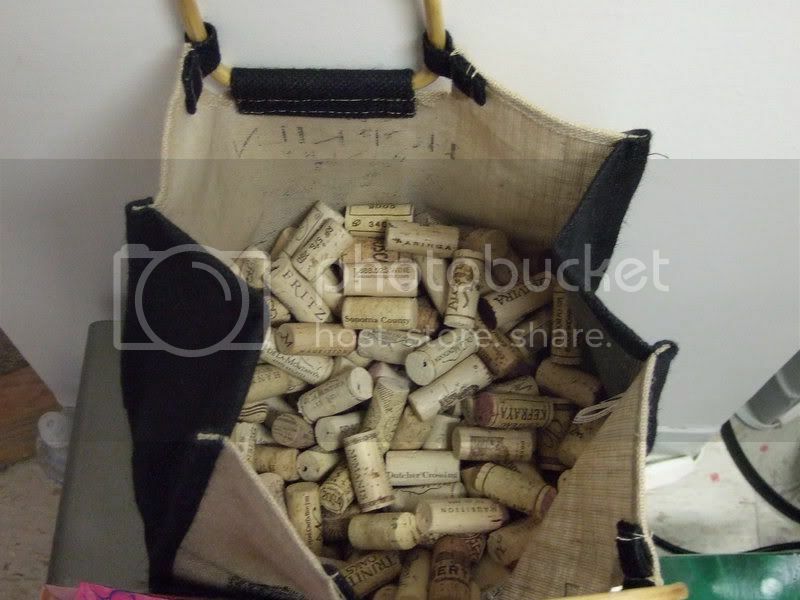 This is a picture of our bag of corks. It currently resides on top of our wine fridge. 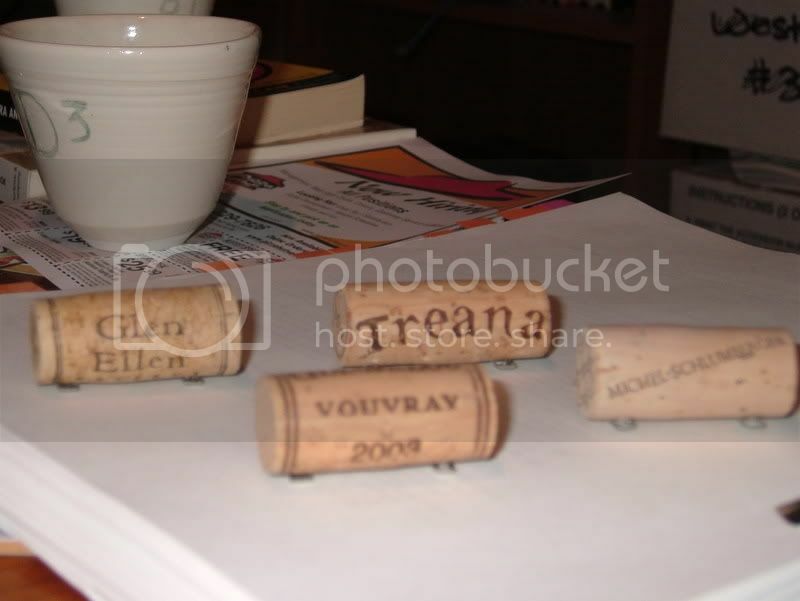 At the moment, it is not as alarmingly full as it once was, since over the summer I did this to our corks in order to make placecards for our wedding. At the time, I wasn’t sure I would have enough. The joke was on me. 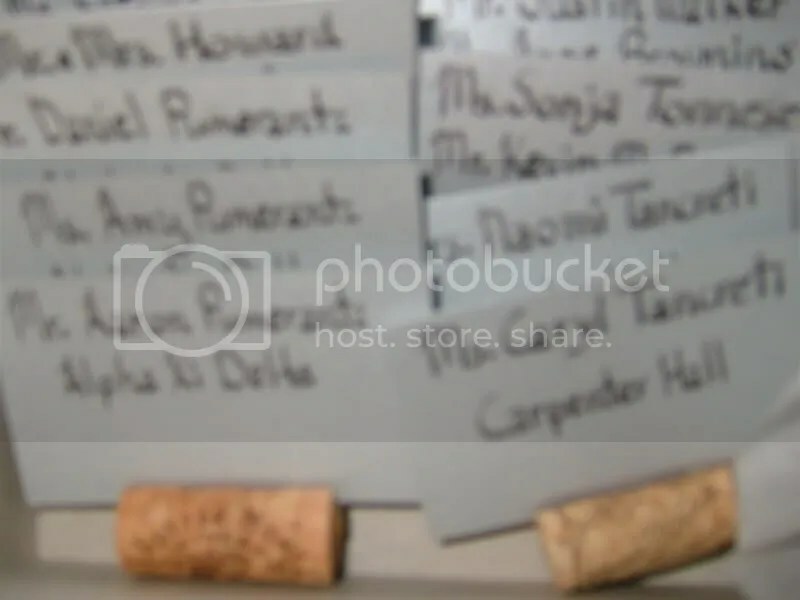 After making over one hundred of these placecards for our wedding, I still had a bag of corks. And that bag has not gotten any smaller in size over the course of the fall. 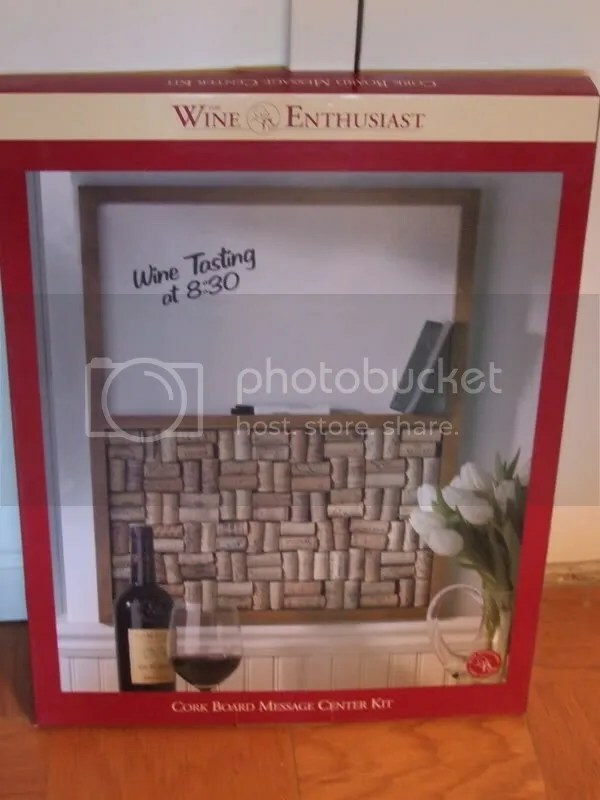 So today I went and bought this corkboard kit at the Curious Grape. I first saw one back in the day at the Williamsburg Winery and thought it was pretty darn nifty which is why I had all the corks in the first place. Then I thought it would be m uch more fun to use them at the wedding since they were all bottles we had consumed at one point or another over the previous 3 years. 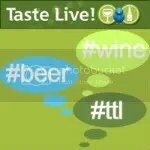 (I’m really not sure that says great things about our consumption habits, but hey, I was a law student at the time, does that give me a good enough excuse?) Personal touch and whatnot. Plus we put half bottles of wine in all the welcome bags at the hotel, so it was kind of going on a theme or something. Which brings us to today’s purchase. The kit says you need around 200 corks. Which will probably leave me with around 200 extras. So what to do with the rest? I did see a creative idea this year. My mom sent me a reindeer ornament made of corks. It was quite cute, and clearly thought up by someone who has a creative gene I am missing. Oh well. Anyone need a cork trivet? Or twelve? And please, tell me I’m not the only nut that saves wine corks. And if I am, lie to me, I promise, I won’t hold it against you! I’ll take a picture of the finished product, hopefully I won’t hotglue a cork to myself.